I had an inspiring visit with Year 7 at St John Fisher Catholic High School in Harrogate last month and I set them a little challenge to write a 50 word story about a nearby spooky place. 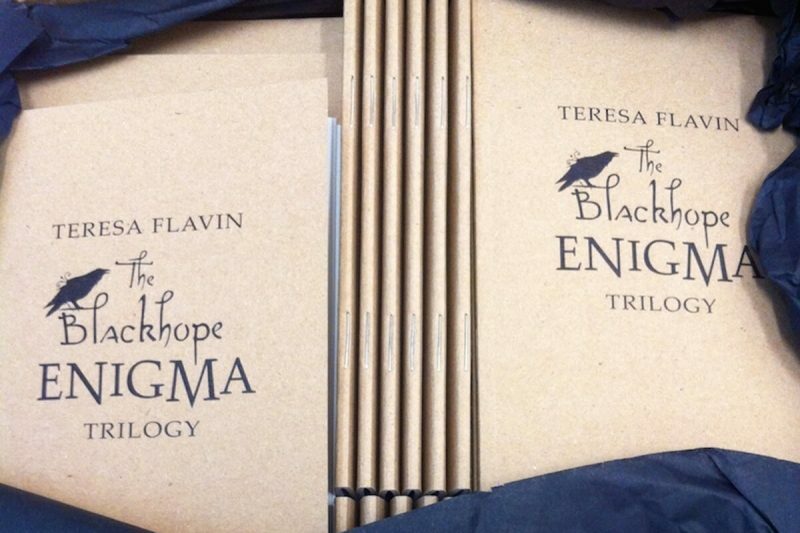 The prize for the top five entries was one of my Blackhope Enigma notebooks. The students certainly rose to my challenge and delivered some evocative stories. I think we have some budding writers! Here are the top 5 entries, in no particular order, as chosen by the excellent staff at St John Fisher. Congratulations, winners, and enjoy your notebooks. I was wandering nervously around Knaresborough Castle, when I saw the malevolent raven lady stalking me. I kept thinking to myself, “Should I run or should I keep wandering?” I have never experienced such a spooky time in my life. Coming back never. But will she come for me? The moon was the only light around the mono-chromatic, windowless ruins. Ravens flapped into the clouds as I approached, the only sign of life on this dead, neglected land. I saw something move out of the corner of my eye; my heart skipped a beat. I was not alone. Trees reach up for me, spreading their skeletal limbs to touch the towering cliffs. The floor is littered with broken corpses of the foxes’ previous victims, their blood staining the path. A shrill cry pierces the silence, they have retuned! I can’t escape them now…..One more corpse for their collection…. As the shadow rose out of the old lamp my heart froze with fear. This new house is haunted! I knew it would be. Ever since I moved here, I sensed something was wrong. This was the end of me…The figure came at me, then suddenly and viciously he pounced……. I walk in, rows of glass staring me in the face. Seeing brain-washed zombies in front of me, I gasp. I gulp as I see one lurch and grab an unsuspecting customers’ face. I turn and run, but I’m grabbed and brought back, screaming, to the horrific place called……SPECSAVERS! Thanks to everyone who had a try at writing a spooky short story and to St John Fisher Catholic High School for hosting me! By Teresa| 2017-08-21T07:38:27+00:00 February 13th, 2016|Events|Comments Off on 50 Word Spooky Story Winners!